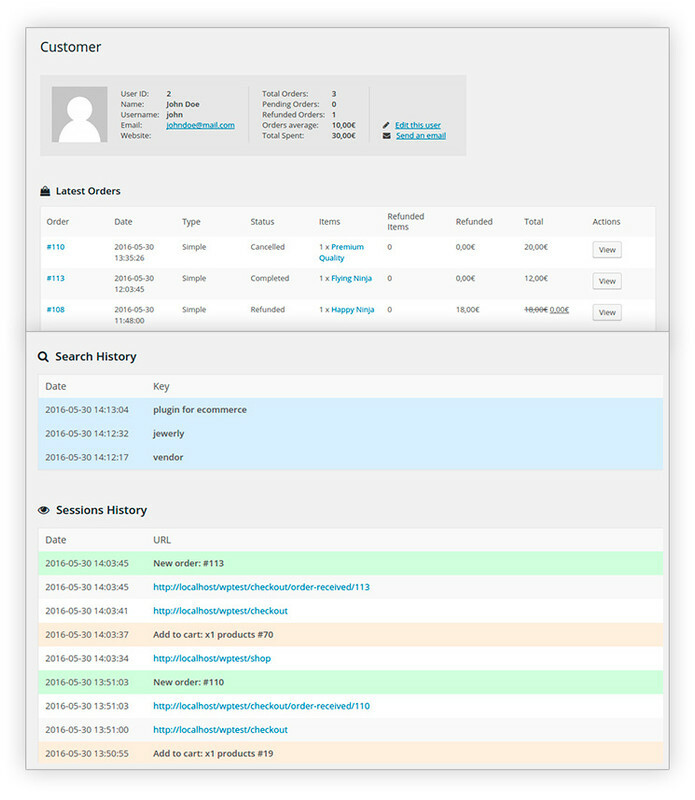 YITH WooCommerce Customer History Premium Extension: allows you to see which pages each of your customers actually visits while browsing your store and to monitor and analyze their average purchase value – increase the average value of each customer in a simple and painstaking way. 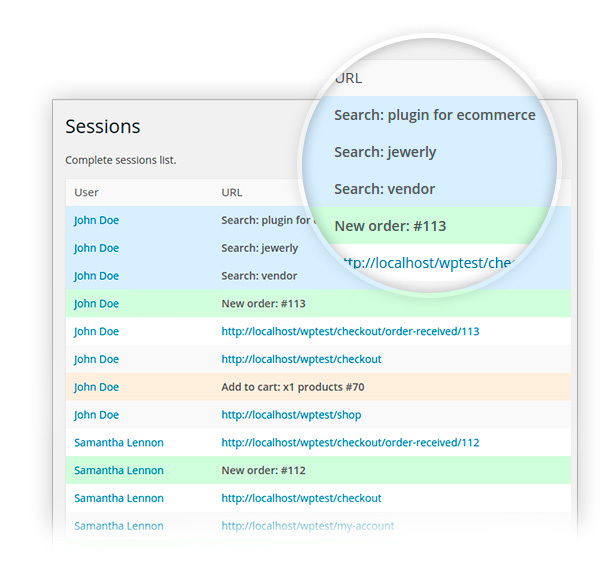 Would you like to know what Mr. John Doe does while browsing your store pages? You would be surprised to know that he looks at a very specific product several times without purchasing it. Sure, it would be easy to contact him offering him a targeted discount. A custom offer on a specific product would almost immediately turn into a new purchase. 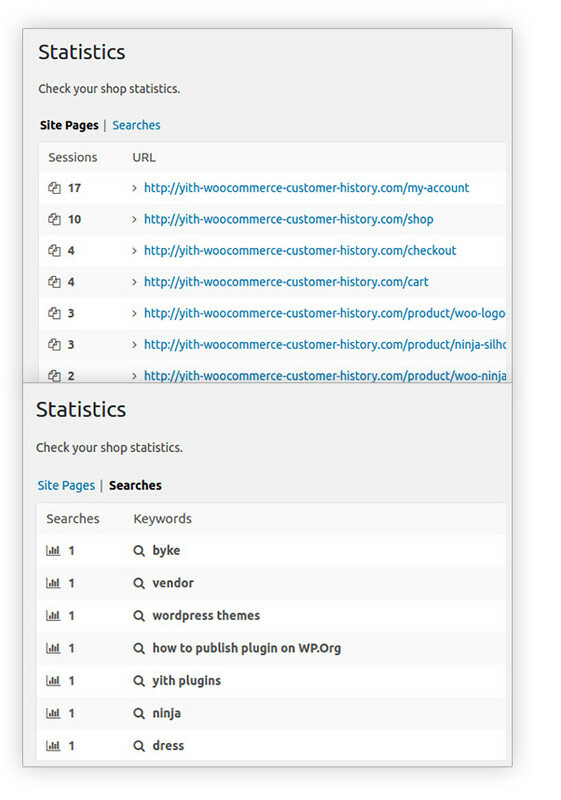 So here is your occasion, we just developed YITH WooCommerce Customer History, the plugin that will allows you to see which are the pages each one of your customer actually visits while browsing your store. 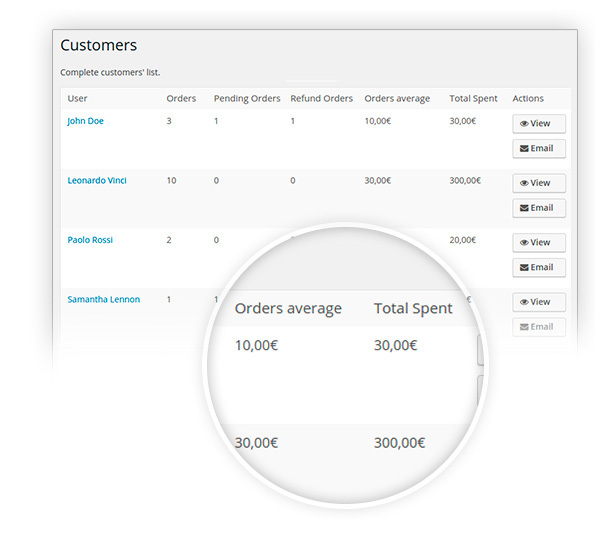 This plugin also allows you to monitor their average purchase value and the latest purchases they made through a handy customer chart. Deal with the market safely and surely and increase the average value of each customer in a simple and painstaking way.